The third hearing in the trial of İdris Sayılğan, a journalist for the shuttered pro-Kurdish Dicle news agency (DİHA), took place on May 23, 2018 in Turkey’s Muş province. Sayılğan was tried in absentia on charges of membership in a terrorist organization. Prosecutors are requesting a sentence of seven-and-a-half to 15 years in jail. Despite the fact that one of his lawyers had flown in from Istanbul and another had driven from Van province, Sayılğan himself was not permitted to attend court from his prison cell 435 kilometres away in the northern Black Sea province of Trabzon. Sayılğan, 27, is known for his fearless reporting on human rights violations in Turkey’s predominantly Kurdish-populated cities as well as on environmental and women’s issues. He was detained during a raid on his home on October 17, 2017, and placed in pretrial detention by a Turkish court a week later. The indictment in his case and that of five other defendants, containing the accusations of membership in a terrorist organization, was produced 10 months later. The document dedicates 70 pages to “evidence” against Sayılğan. Five of those pages focus on journalistic articles on various topics, including alleged civilian deaths that occurred during operations conducted by Turkish security forces in the region; trustees appointed to local mayorships by the Turkish government; Kurdish culture and the arrests and harassment of Kurdish politicians. In addition, those five pages of journalistic “evidence” include news reports on the condition of sick inmates and several tweets in which Sayılğan shared links to his own articles. The remaining 65 pages are transcripts of phone conversations Sayılğan had with people who are clearly news sources. Sayılğan’s lawyer, Barış Oflas, said the case was purely about journalism. “The only thing İdris has ever done is report on issues that he decided were newsworthy”, Oflas told the International Press Institute (IPI). “The fact that there is no evidence against him other than news reports shows utter disrespect for the rule of law”. Sayılğan, the third son of a Muş family with nine children, decided to pursue an education in journalism. 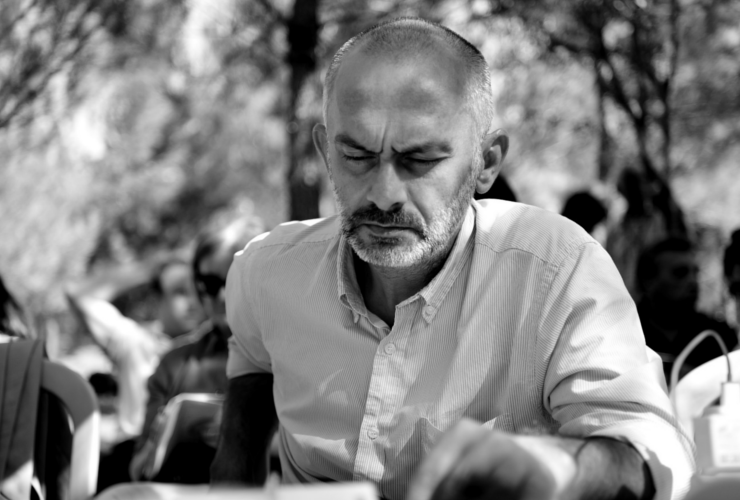 In 2012, he graduated from the Mersin University’s journalism department and started working for DİHA, which was shuttered by decree following the 2016 coup attempt. 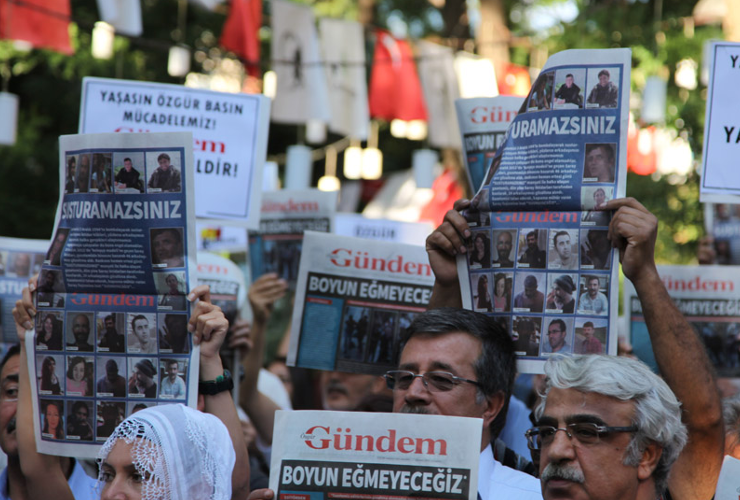 Dozens of former DİHA journalists are currently in prison. 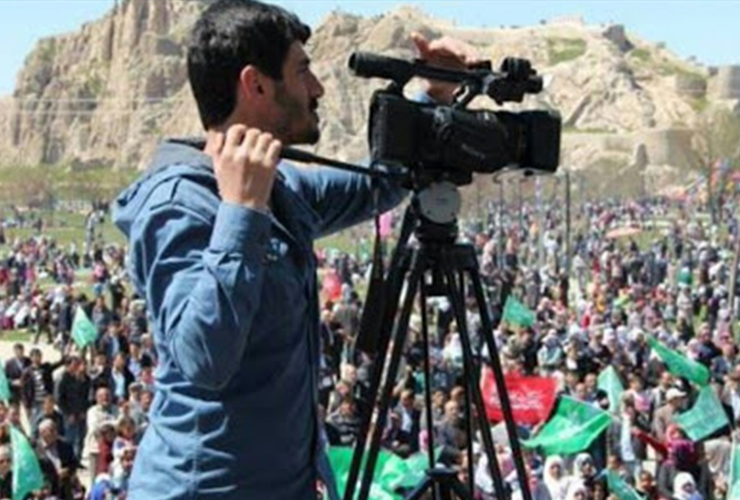 Nimet Ölmez, who worked with Sayılğan at DİHA and now writes for the agency’s successor, Mesopotamia news agency, described his former colleague as “a great journalist”. Sayılğan’s brother Ebubekir said the trouble began already prior to the attempted coup of 2016 when Sayılğan exposed an education scandal in Muş involving a middle-school teacher who told students who insisted on speaking Kurdish to become either shepherds or housewives. The incident was an embarrassment for the district director of education. “That’s when he started receiving threats via anonymous phone calls”, Ebubekir said. But it was Sayılğan’s reports on the mistreatment of inmates in the region’s prisons that most disturbed the authorities. “That’s when we started seeing strange vehicles near the house”, Ebubekir recalled. Ölmez also noted that Sayılğan received many threats on social media for his reporting. One news report Sayılğan wrote and which appears to have aggravated the authorities concerned Celal Şeker, an inmate with serious medical conditions who was not released from prison despite a recommendation to that effect from the Turkish Council of Forensic Medicine. Şeker died in his prison cell one week before Sayılğan’s second hearing. Shortly after Sayılğan was placed in pre-trial detention in October 2017, he was moved to a prison in Trabzon province. His family, which is struggling financially and which has another son in an Ankara prison, has not been able to visit him. For Kurdish journalists whose families often do not have the means to travel across cities for prison visits, being placed in prisons located away from the court location or the place of detention is not an uncommon practice. Formal requests filed by lawyers to move Sayılğan to a prison in Muş have been rejected. According to lawyer Oflas, Sayılğan’s imprisonment in Trabzon constitutes yet another infringement to his right to a fair trial. Similarly, objections filed by Sayılğan’s lawyers against his detention were rejected by a series of local courts. In the three hearings held so far in the trial, the court has ruled to extend his detention each time. In the May 23 hearing, Turkey’s judicial video-conferencing system SEGBİS suffered a technical failure. The court said it was not able to establish a connection to Trabzon prison, effectively preventing Sayılğan from submitting a defence statement. The Media and Law Studies Association (MLSA), of which Oflas is also a member, is providing legal support to Sayılğan. In Sayılğan’s absence, Oflas and fellow MLSA lawyer Veysel Ok defended the journalist in court. Ok told the court that according to the Turkish Constitution, Turkey’s press laws and international conventions ratified by Turkey, the indictment is a violation of the right to freedom of expression. Ok said the reason behind Sayılğan’s detention was to stop the news flow from the region. “The only purpose of keeping him in prison is to ensure that the government is the only source of news available for the public”, he remarked. Oflas added that journalism was increasingly being criminalized in Turkey at the hands of the judiciary. Oflas emphasized that Sayılğan is imprisoned only because of his journalism. Sayılğan’s brother Ebubekir speaks to him on the telephone every Friday. The last time they spoke before the May 23 hearing, Sayılğan told his brother not to expect his release.